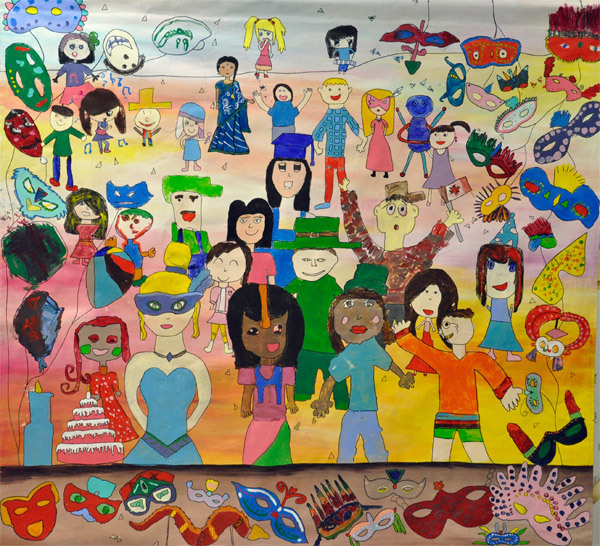 We recently had the chance to visit Second Street community school in Burnaby where the entire school of over 300 students has been working for the past three months with local artists Anna Talbot and Mona Lochan and the City of Burnaby's Community Arts Development Coordinator, Shelley Twist to create a series of banners that explore the theme of Celebrating our Community. 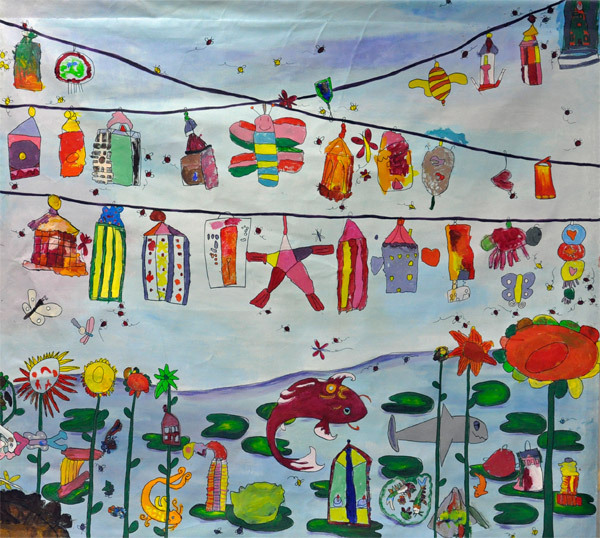 During the brainstorming stage, they came up with a range of ideas including lanterns, dragons, mehndi and nature. 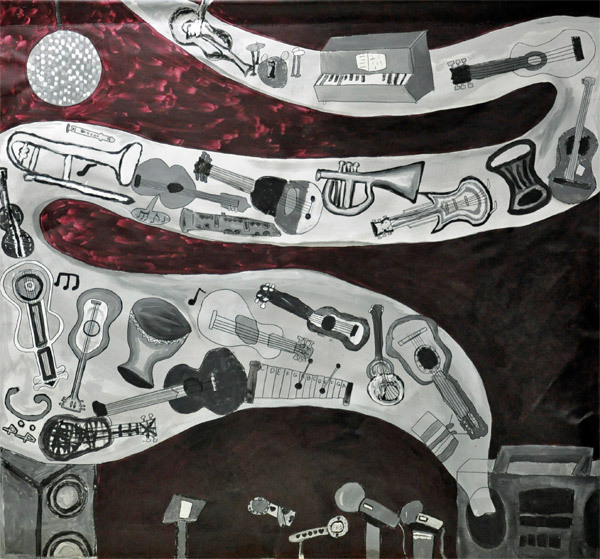 With the help of the artists in residence, their ideas were translated into images that have been captured in a series of 6 banners, which when complete, will be mounted on custom-built wooden frames and then used as a decorative background at community celebrations and presentations at the school. 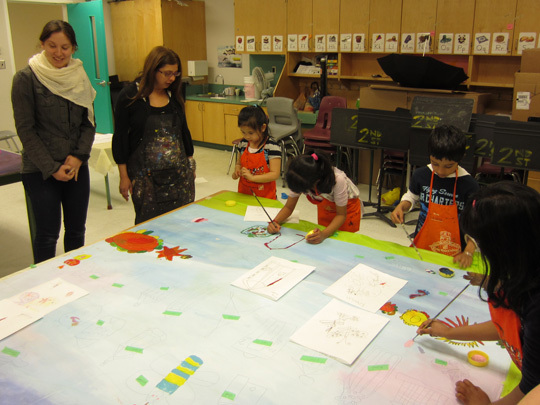 During our visit, the kindergarten and grade 1 students were scheduled to do some painting and it was lovely to see their excitement and enthusiasm first hand. Mona gave them a little demonstration of how to paint using the many coloured paints laid out for them to choose from. 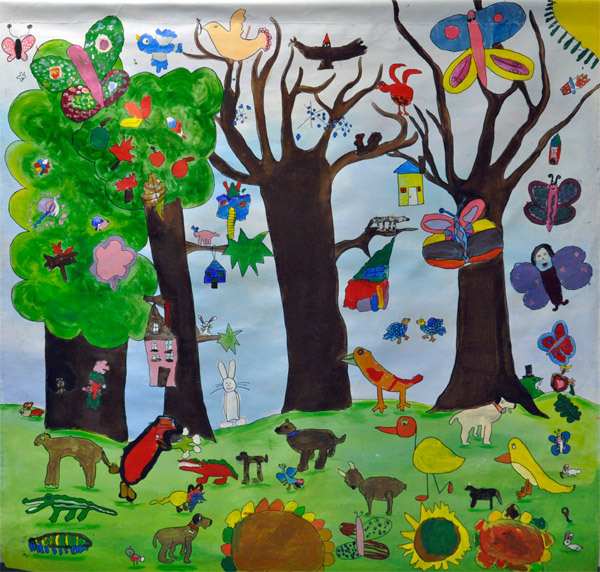 They then jumped right in to painting the pencil drawing that they had created in a previous session, which by this time, had been transferred to an appropriate spot on the mural. 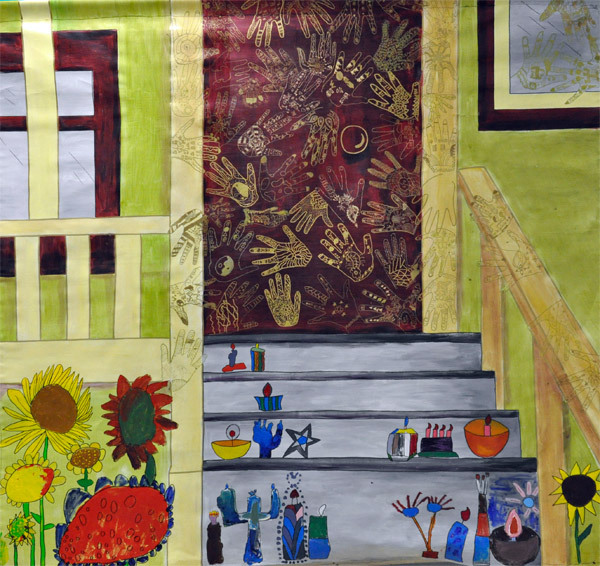 Many of the murals were laid out for us to see and we were impressed by the students' work. According to Shelley, many of the senior students have become so engrossed in the project that extra blocks of time have been added to so they can spend more time working on their part of the banner. 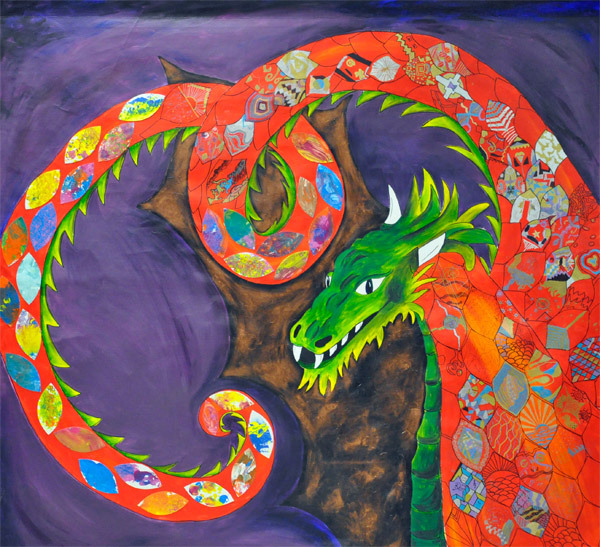 The level of detail and care was clear in the mini-masterpieces being created in the many scales of the giant red dragon that swirled about one of the banners. 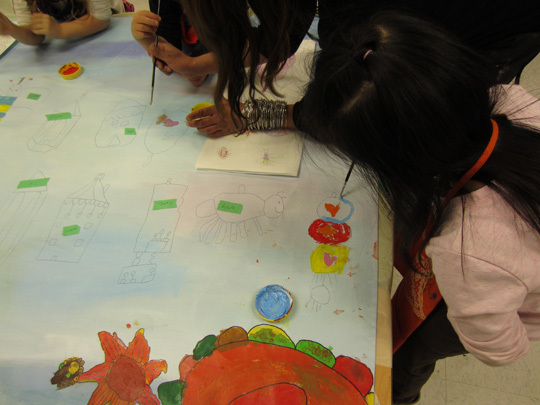 This artist residency project was funded by Westminster Savings’ community investment program, Project Better Balance through ArtStarts' AIE2 grant program with additional support from the City of Burnaby. Westminster Savings' Foundation & Community Investment Manager, Nicole Eich, joined us at this school visit, and was clearly as enthused as we were by the success of the project and the chance to see first hand one of the many projects that they fund, brought to vivid and colourful life. Here are the results of all their hard work! Congratulations to all the artists and students who were part of this project. You've done such a wonderful job!